Most other gloves and mittens only warmed another part of my hands. My fingers were always in pain! We have had many cold days this winter in Michigan, and my fingers have been literally hurting, but no more! These gloves slide right underneath my thick gloves, shielding me from the horrible snow and warming my fingertips. This way, they don't get very dirty or torn up. I don't believe they are waterproof, but if I were to go sledding, I would wear a waterproof pair over these. Thanks for the awesome gloves! ProsWarms fingertips, three heat settings, not bulky, REALLY cool charging situation! The liners fit in all my gloves.. Love the setting options. 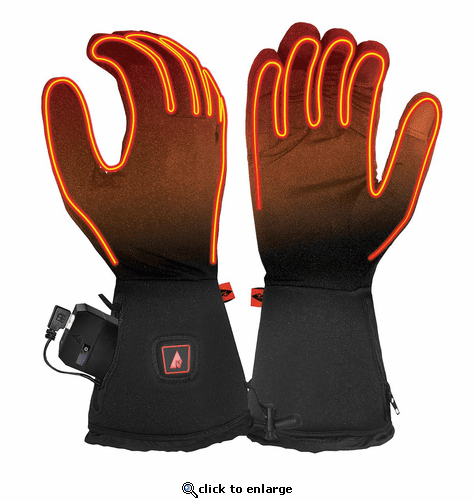 I have not used them for over 3 hours or below 30 degrees.